Trying to find a unique wedding ring can feel like you’re going round in circles. However, the ring of your dreams might already be in your possession. Jacqueline Maya investigates the growing popularity of jewellery restoration. Whether it’s an antique reproduction or a treasured family heirloom, many couples are opting to wear vintage jewellery on their wedding day. To help, Queensland Wedding & Bride explores the benefits and potential risks of restoring an old piece, and reveals how you can make this beloved item uniquely your own while still honouring its past. More couples are choosing to restore handed-down wedding jewellery for a number of reasons, including convenience, potential for savings, their incredibly distinctive qualities and, most importantly, their intrinsic sentimental value. Choosing to restore a vintage ring over purchasing a brand new bespoke piece gives you the ability to see the item before it’s complete, making it easier to anticipate how it will look once finished. Not only will you be able to physically see the piece rather than having to imagine the design, but you may also be able to save on costs, as it’s generally less expensive to restore a piece than remaking something altogether. Antique rings also have an inherent uniqueness and charm. Many couples treasure the thought of having an antique piece because of its intricate design and rich history, and are often happy to purchase a vintage piece to honour the special occasion. In addition to preserving its wonderful past, the much-loved item can now be part of a new love story. Once you and your partner have decided to restore a vintage piece, you should then book in for a consultation with a professional jeweller who is experienced in the modification, restoration and replication of antique jewellery. During the consultation, the jeweller will first check the overall condition of the item, ensure the stones aren’t made of glass or crystal, examine the stone settings, and assess general wear and tear. You will then be quoted for the repairs and given a timeframe, which is usually two weeks to one month, depending on the complexity of the work. Organising engagements and weddings can already be overwhelming. 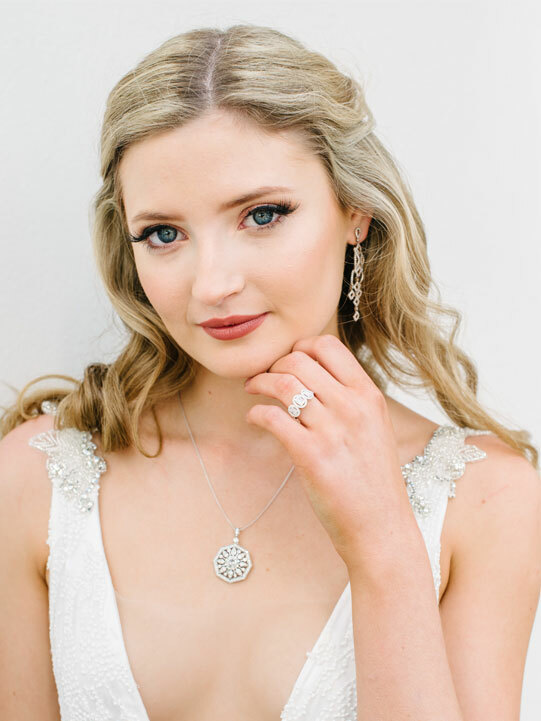 To ease the stress, it’s a good idea to organise your wedding jewellery four months prior to ensure that all jewellery will fit perfectly on the big day. 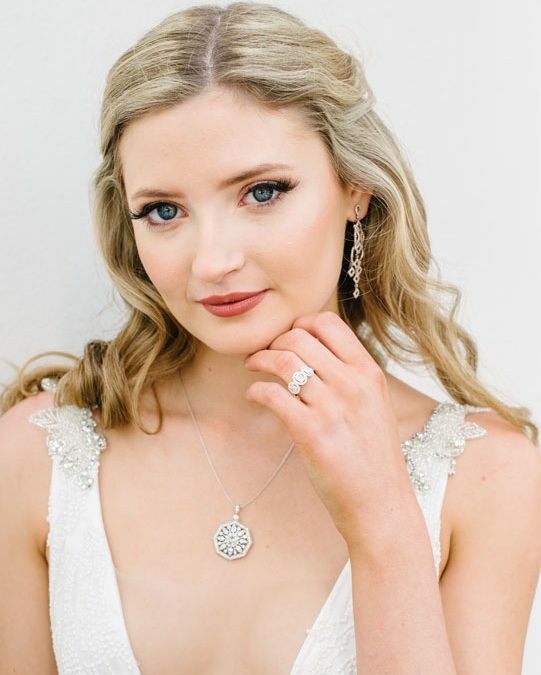 While wedding and engagement rings have always been the most commonly restored types of jewellery, couples are also bringing to life other precious items to wear on their wedding day, including brooches, bracelets, pendants, and earrings. The process of restoring a jewellery piece relies heavily on evaluating the type of metal used beforehand. For example, some varieties of gold might age quicker than others, which impacts the level of work required to repair the item. In addition to resizing, repairing cracks, removing scratches and polishing, a gold ring’s setting may also need re-tipping, where the prongs are mended. While yellow, rose and white golds all make for beautiful wedding jewellery, platinum gold is gaining popularity. Less likely to experience significant wear and tear, pre-loved platinum gold pieces still need to be checked by a professional. If the ring is platinum and in fair condition, it may only need to be resized, checked for loose stones, retightened, cleaned, and possibly polished to remove scratches. An especially old piece may require a further polish in order to remove the patina. Further, as well as paying close attention to the material, you should also be aware that the weight of the material can alter a piece’s tone. As a guide, jewellery with a lower carat is generally paler than those with a higher carat. major concern is that you can never really be sure of the previous repairs that have been performed on the piece. If an item has been re-tipped multiple times, the solder joins can be gravely affected and oxidation can occur, making the item more brittle and fragile. Despite all of its sentimental value, handed-down wedding jewellery was in fact chosen or designed for a previous owner, who most likely had different tastes and style preferences to your own. If your treasured heirloom isn’t in the style you envisioned, consider combining parts of your preloved piece with newly customised elements for a unique result. For example, you might select an antique ring top with a more contemporary band, or perhaps you’d prefer to keep the original band and choose a new ring top. Whatever combination you choose, be sure to select something that reflects your own individual style. Customising a handed-down piece allows you to add your own personalised touch while celebrating and upholding its antiquity at the same time. To ensure your wedding jewellery remains in great condition long after your special day, regular cleaning is essential! For a sparkling result, gently clean your jewellery with a soft toothbrush and dishwashing detergent. If you only want to remove the surface oil from your jewellery, wiping your item with a soft, clean cloth will also get the job done. However, whatever you do, don’t use toothpaste! Despite common opinion, toothpaste will actually make your pieces appear dull and faded. For hard-to-clean items, a professional ultrasonic clean is highly recommended. Whether you decide to fully restore handed-down jewellery, or simply take elements from your favourite antique to create an entirely new design, engaging the services of a highly qualified jeweller will ensure the piece of your dreams is realised.